Are you ready for more Vans Warped Tour pit action? 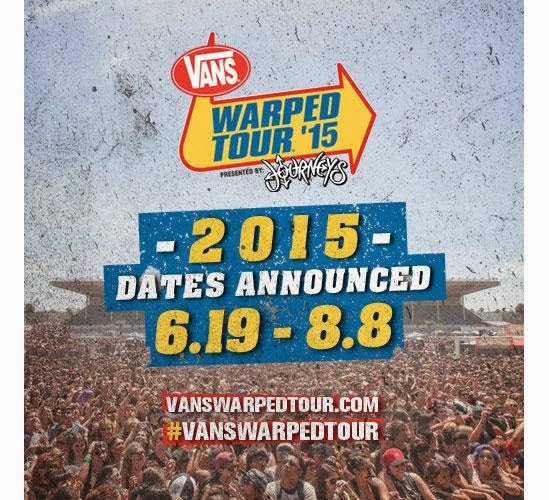 The 2015 Vans Warped Tour will kick off on June 19th in Pomona, CA and run through August 8th in Seattle, WA. Stay tuned for ticket info and head over to Vans Warped Tour to see when we will be in a city near you. Vans Warped Tour will also have brand new customizable tees and a varsity jacket available this Thursday, October 16th, in the online store.